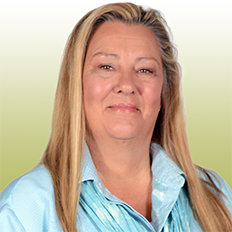 Ginger Pitaccio began her career in Property Management more than 25 years ago. Having trained in all aspects of building and construction, Pitaccio’s knowledge and experience spans the real estate spectrum. From coordinating the land subdivision approval process and directing the construction of new homes, to overseeing major repair and replacement projects, Pitaccio is an expert in the field. At Towne & Country, Pitaccio oversees all physical maintenance and compliance issues – including bid specifications and contract procurement, supervision of contractors, and clients’ governing documents. Trained as a mediator through the Community Associations Institute (CAI), she has exceptional conflict management and homeowner problem-solving expertise. Born in Oklahoma, Pitaccio moved to New Jersey as a teen and attended school in Belleville, where she first met future business partner and Towne & Country Co-owner, Lisa Vitiello. She went on to earn a Bachelor’s degree in Communications from Seton Hall University and became certified as a Professional Community Association Manager (PCAM) through CAI. Committed to her community, Pitaccio volunteers with senior citizens through local New Jersey non-profit organizations. 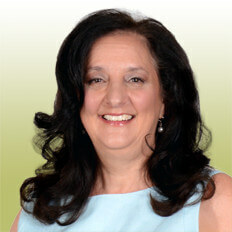 Lisa Vitiello is the financial steward of Towne & Country Management. A licensed Certified Public Accountant (CPA), Vitiello began her career as an auditor for Ernst & Young. She also worked as the Chief Financial Officer for a central New Jersey builder before founding her own business with Ginger Pitaccio. At Towne & Country, Vitiello oversees all financial aspects of client communities. These include internal control procedures, budgeting and financial analysis, collection matters and insurance risk and adequacy analysis. A long-time member of the New Jersey chapter of CAI, Vitiello also serves on the organization’s Executive Board. Vitiello volunteers with a crisis hotline and also helps the community through her pro-bono tax-preparation work with seniors and reading-skills tutoring with young children.